Yesterday, with the sun shining, we pulled on our wellies and set off to Shipley Park in search of magical sapphire carpets. We parked in the Mapperley reservoir car park and walked up the gated road then, taking a path to the right, into the woods. The woodland was quite enchanting. A carved face in a felled tree stump, like a wise man of the woods with a flowing, rooty beard was an interesting feature! We were soon rewarded with pretty clusters of bluebells in dappled sunlit glades. It was so peaceful and relaxing, with the birds and squirrels. Then it was back to the Bottle Kiln for coffee—a pretty perfect day really! At the crossroads, just near the Bottle Kiln, take the road signposted to Mapperley village, go through the village and keep straight on down to the car park by Mapperley Reservoir. 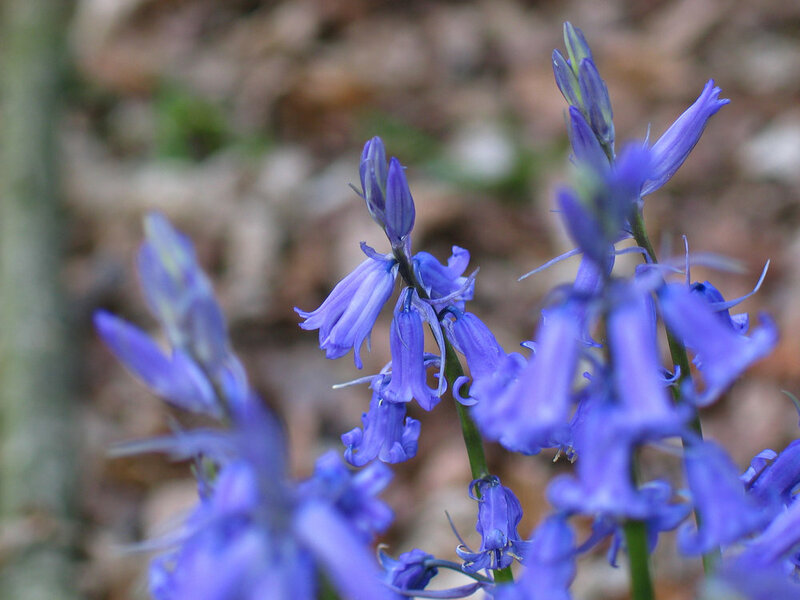 The wood on the opposite side of the road to Mapperley reservoir, Mapperley Wood Nature Reserve, also has impressive bluebell displays and we look forward to exploring that area sometime soon.